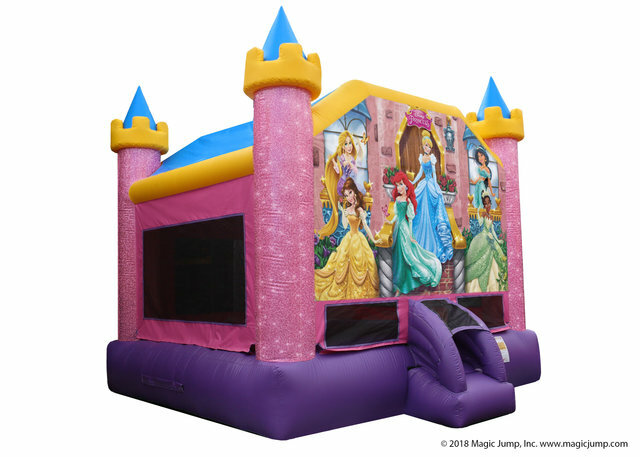 This Disney Princess inflatable is Awesome for all ages and has enough bouncing room for 5-6 kids at a time! Turn your basic Backyard party into your little princeses dream party. Dance and Bounce with your favorite Disney Princesses while making your fairy tale come to life. This Disney Princess Inflatable comes with a safety matt and enclosed ramp to create the most safe enviroment for your princess. Not Only can you play with your friends inside but there is also a basketball hoop so you can have more fun being the princess of your dreams. Have a tea party with friends then jump around in our spacious inflatables.